A poster I found among my hoarded memorabilia. 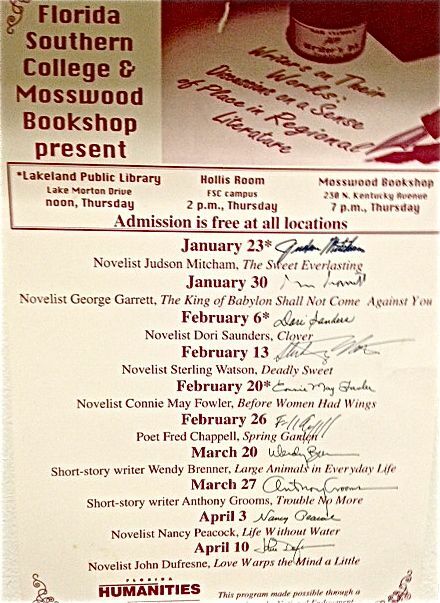 The late and great Mosswood Bookshop in Lakeland. George Garrett! Fred Chapell! A lively literary spring at Florida Southern. Huffington Post salutes its favorite independent bookstores, including our own Books & Books!